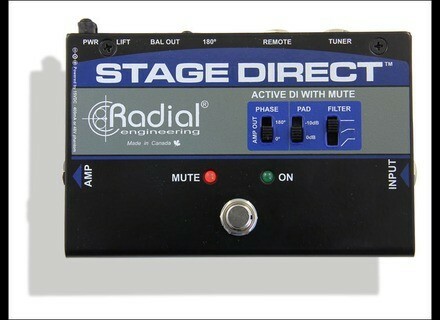 StageDirect, DI from Radial Engineering. 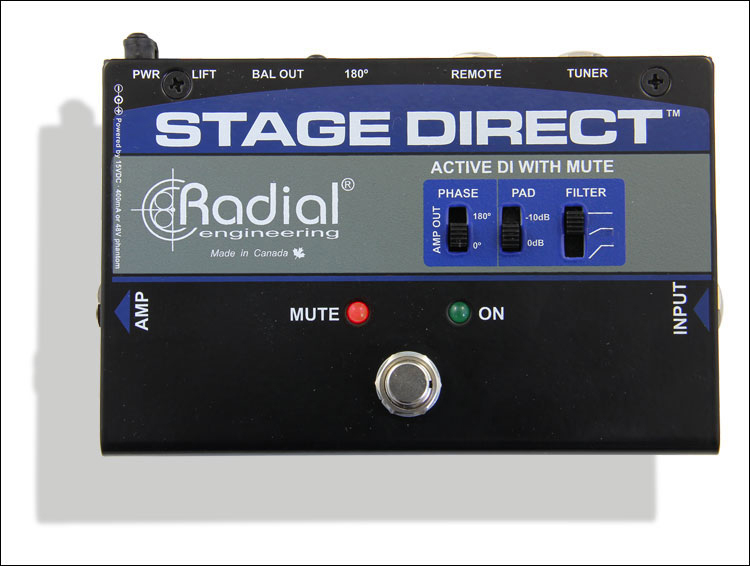 Radial Engineering started to distribute its StageDirect direct box with mute function for guitar players who need both features on stage. The pedal, that had been introduced at Winter NAMM, is equipped with a footswitch that will mute the acoustic or electric guitar plugged so that you can tune silently without unplugging your instrument. The active circuit can be powered by a +48V fantom power or the internal 15V supply. A -15dB pad is also included, as well as a high-pass filter and a 180° phase inverter. The StageDirect box features a Hi-Z instrument input, a tuner connection, a thru-put for the stage amplifier and a low-Z output for the PA system. StageDirect US list price is $250. More information at www.radialeng.com. Tube-Tech MP 2A valve mic preamp Tube-Tech doubles the MP 1A with the MP 2A all-tube dual microphone preamplifier and DI that will be available in september. Sound Skulptor CP5176 Compressor Sound Skulptor announces the availability of the new lunchbox-format CP5176 compression module. Allen & Heath MixWizard4 mixers Allen & Heath unveils at InfoComm the fourth generation of its MixWizard analogue mixers.